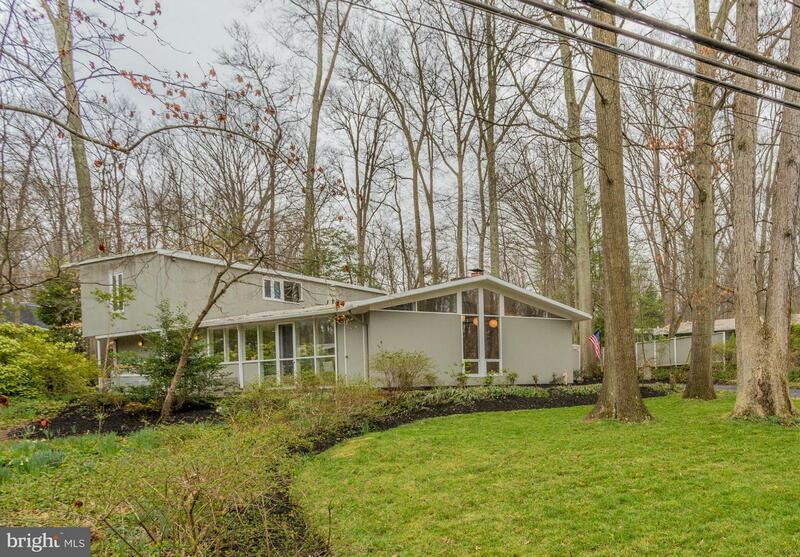 You will love this Mid-Century Modern ~Goodman~ home in Hollin Hills! Gleaming hardwood floors. Walls of windows have expansive nature views from both levels. 2 Level home has 4 bedrooms, 2 bath, huge carport, large deck, and a 5th room that was used as a bedroom by the previous owner! Updated kitchen has a culinarian 6 burner gas range! Schedule a showing soon as this home will not last long! 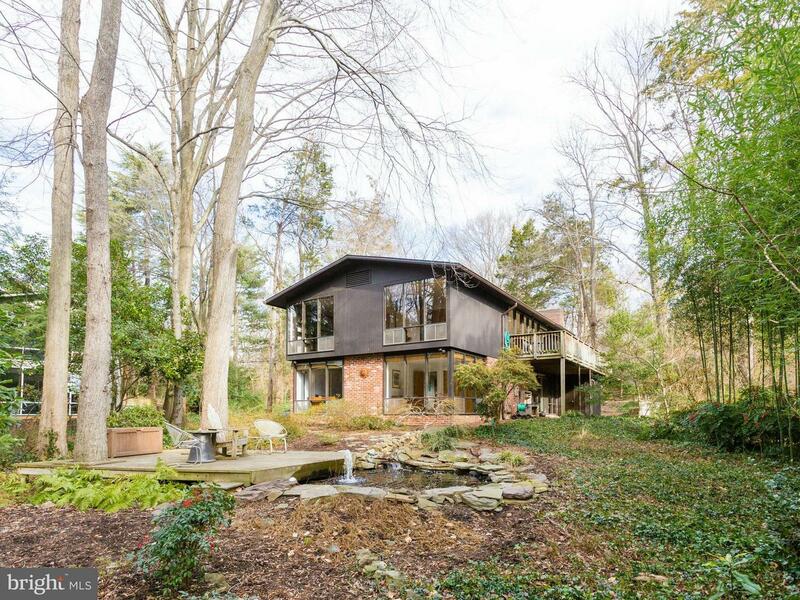 Stellar Goodman designed Hollin Hills Beauty! Architectural Digest worthy! Stunningly expanded , enjoy 2,725 sq ft. ,4-5 beds/2 full gorgeously renovated baths, chef's kitchen, breakfast bar, window back-splash, granite counters, GE Monogram stainless appliances,designer lighting fixtures,3 fireplaces,carport,trex decking,almost 1/2 acre private/wooded lot.Walls of windows front, back and side! 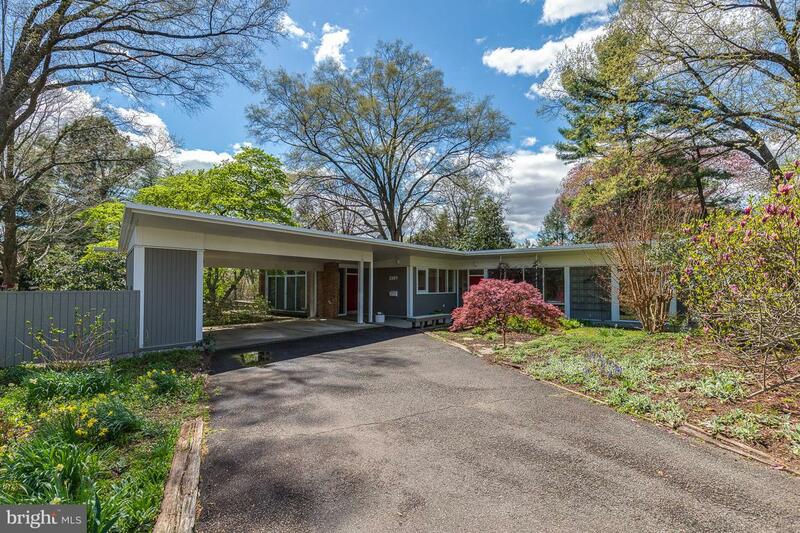 ** JUST LISTED ** This large 5-6 bedroom, 3.5 bathroom mid-century modern home is situated on a beautiful cul-de-sac in Hollin Hills. 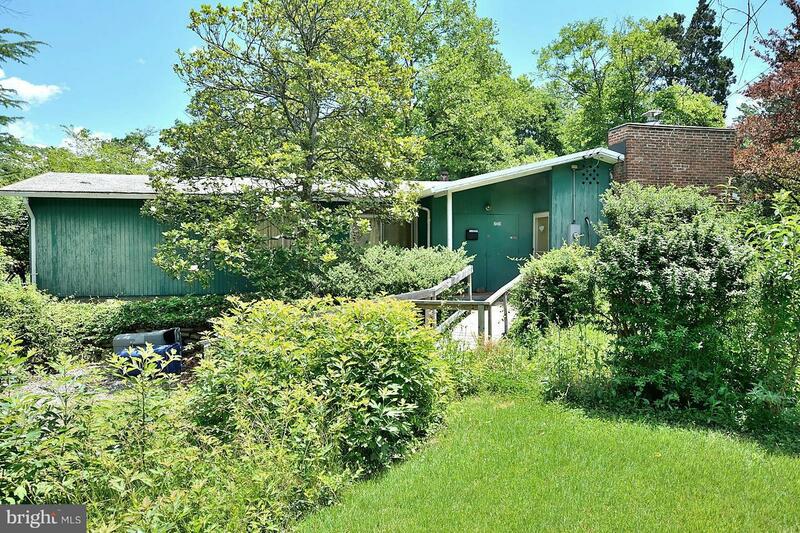 Eat-in kitchen & sep. dining room, 2 wood burning fireplaces, a sunroom, 2 sheds, a car port and a lovely deck surrounded by tall trees and total privacy.Please note that the home is in good condition and is sold AS IS - use "as-is" paragraph in Cont. and Clauses. Sold by Teresa Bosch, Long & Foster Real Estate, Inc.
Nestled in lush landscaping, this spacious two level Goodman has a renovated kitchen, master bedroom with ensuite bath, beautiful hardwood floors, newer roof and HVAC, workshop and great storage. Flexible, open living spaces include main living room and LL family room with oversized brick fireplaces. Great indoor/outdoor spaces~wraparound deck, extensive four season plantings and koi pond. 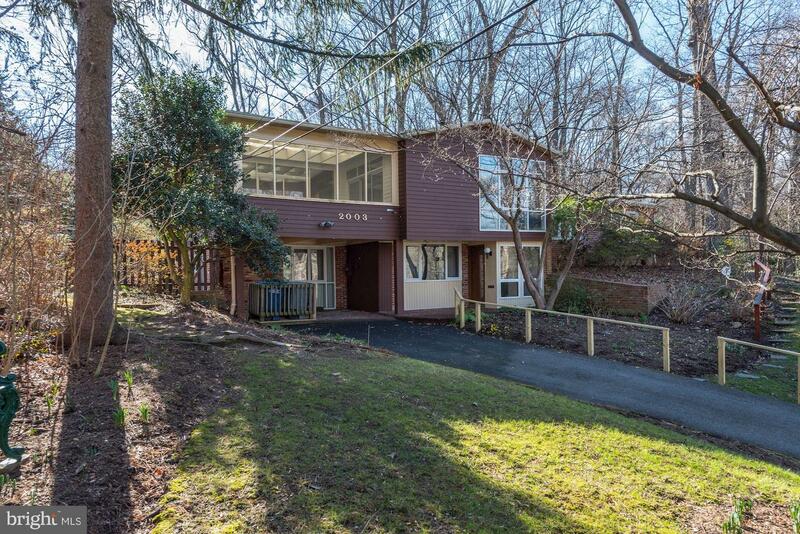 Expanded and completely remodeled Goodman mid-century home on one level. This spectacular house was on the Home and Garden Tour and incorporates indoor/outdoor living with private patio, extensive landscaping and flat yard. Updates include open kitchen, new master bath,roof, HVAC, hardwood floors (All within 1-10 years) Den addition with vaulted ceiling adds 2nd living space. Truly one of a kind. 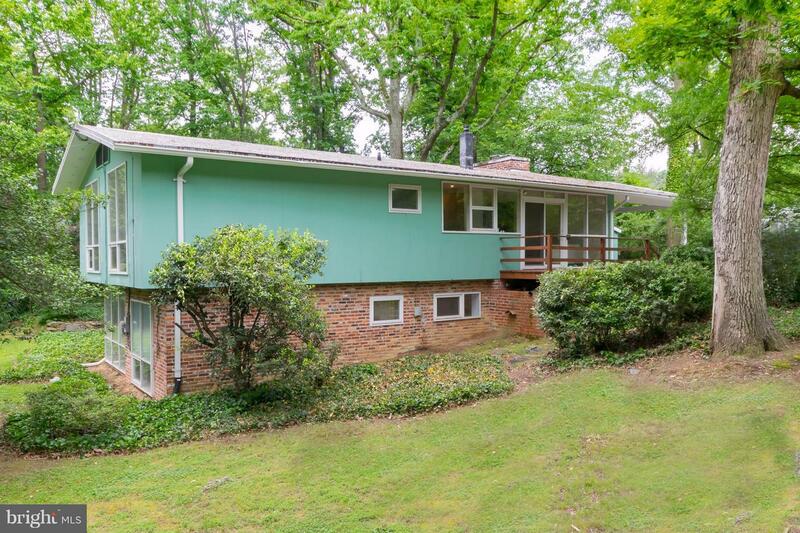 One level Mid-Century home with large addition designed by Eason Cross ('77-'78) that adds 4th bedroom or second living room with storage, half bath, separate laundry. Dual HVAC (main system new) wood-burning fireplace, several skylights throughout. Master bedroom with Master bath. Wonderful combination of vintage and modern. Large flat .48 acre lot with mature landscaping and carport. 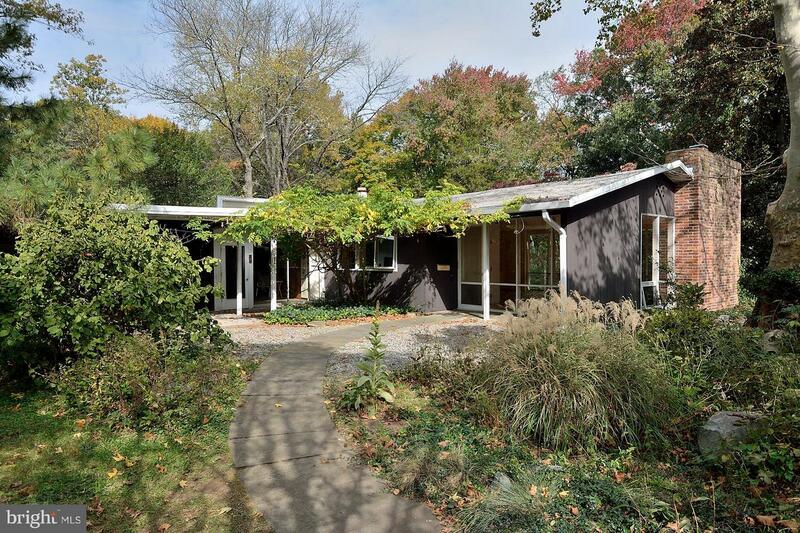 Stunning 4BR/2BA Charles Goodman designed mid-century modern home in Hollin Hills. Completely renovated kitchen that opens to the living & dining rooms includes quartz countertops & stainless steel appliances & ceramic tile floors. Spacious bedrooms, flooded w/ natural light & great closet space. Large back patio that extends into the landscaped yard. 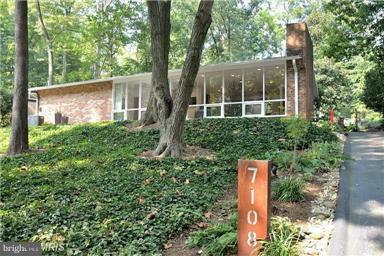 Great investment opportunity or to create your own mid century home in the premier Hollin Hills neighborhood. 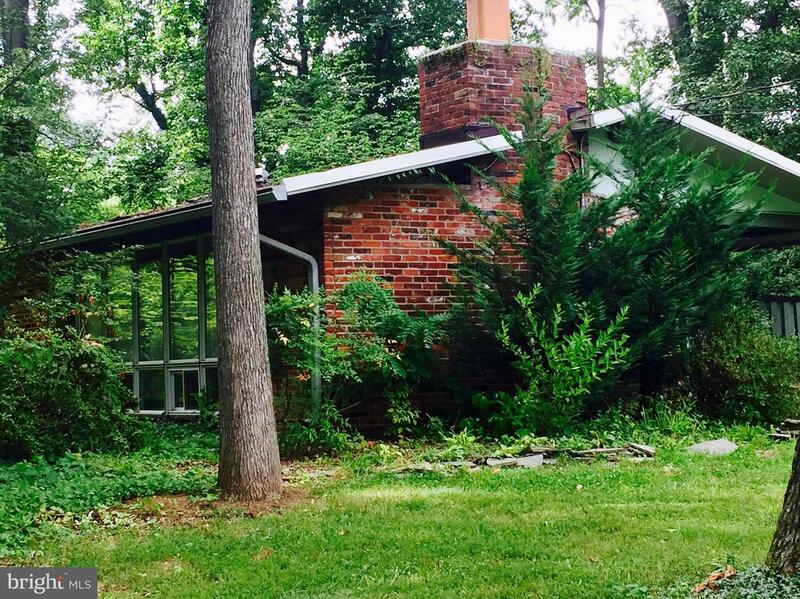 This expanded HH house is being offer by the original owner and built in 1952. Home is in very original condition and in need of a major renovation. Beautiful level lot with many possibilities. Listed by Peter Braun, Long & Foster Real Estate, Inc.
Sold by Sue S Goodhart, McEnearney Associates, Inc. 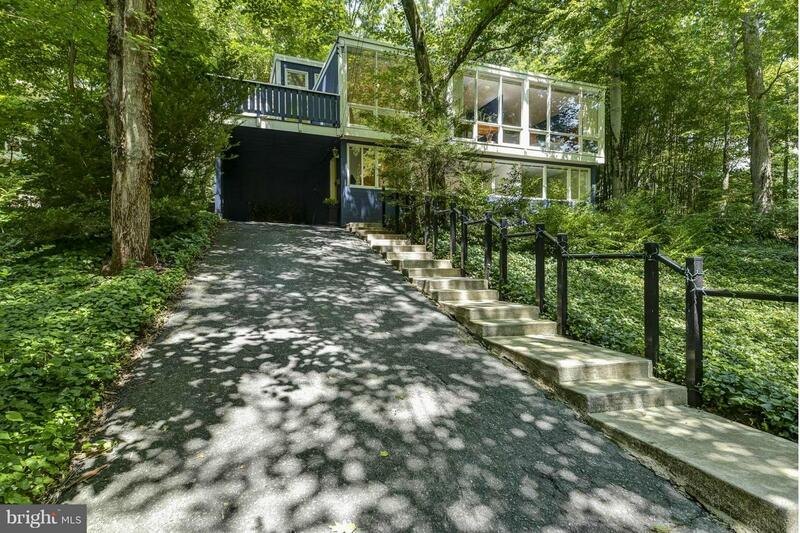 Expansive Charles Goodman mid-century home in historic Hollin Hills. Single level, 5 bedrooms with master bedroom suite, open kitchen, floor to ceiling windows, bonus office/recreation room, hardwood floors throughout. Gorgeous outdoor spaces, including deck and fish pond, on large beautifully landscaped lot. Carport with shed. Sold AS-IS. 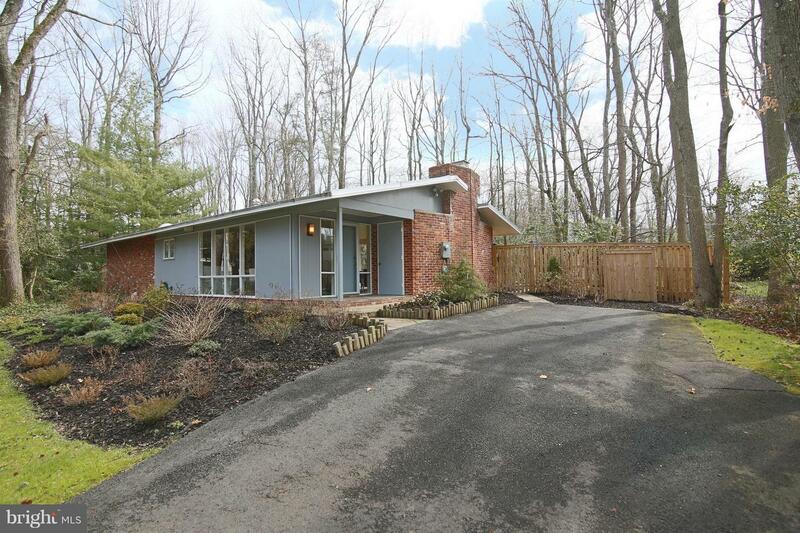 Pristine, move-in ready, .36 acre, 1-lvl Goodman mid-century modern in sought-after Hollin Hills. Completely updated 3 BRs/2 baths, 2015~luxe finishes in new kitchen/baths (don't miss onyx tile, Mbath), HW flooring, HotH2O, roof, insult attic; new deck (2017). Inc. oversized FP, built-ins galore, skylights, outdoor storage closet, 3+ car pk pad, huge park-like lot, across from comm. pool/tennis.